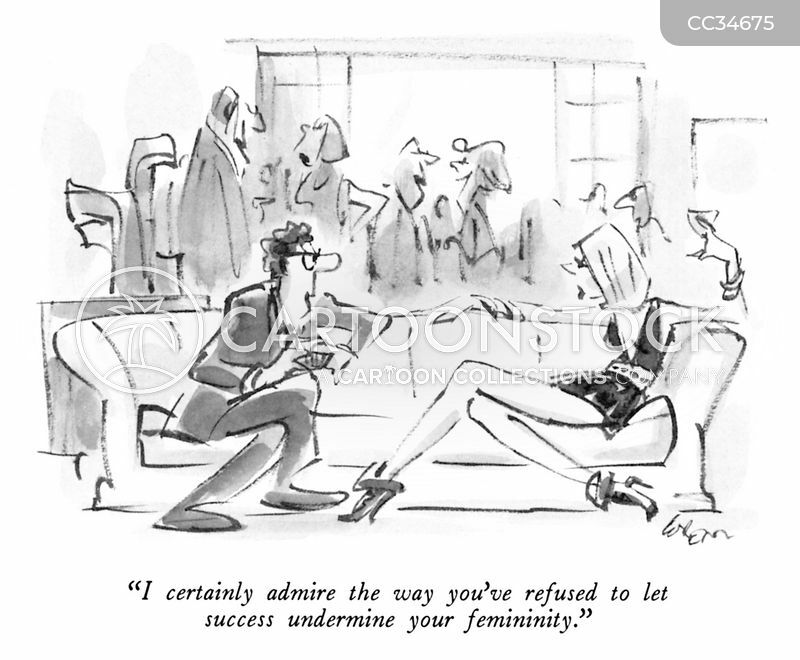 "I certainly admire the way you've refused to let success undermine your femininity." 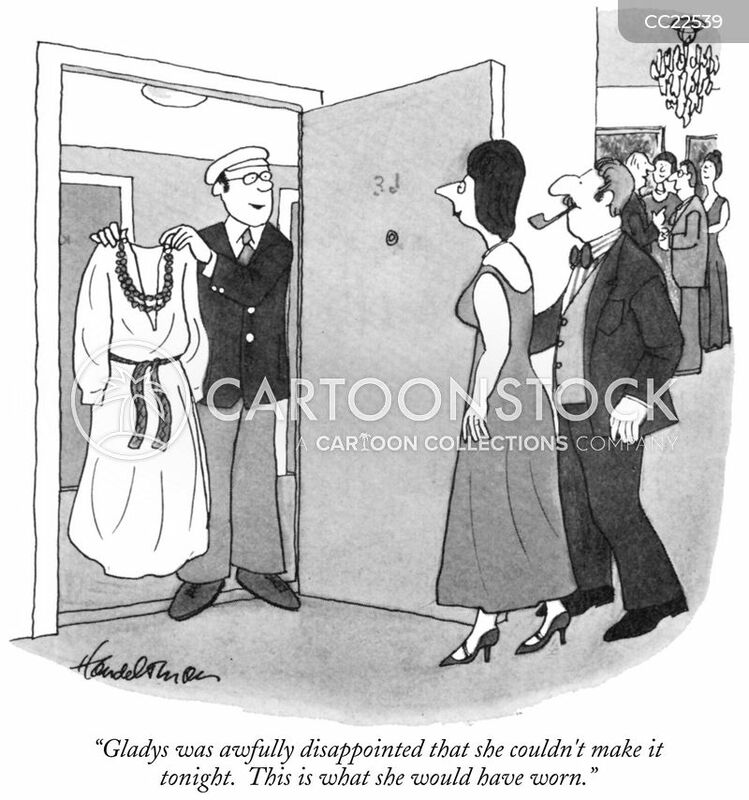 "Gladys was disappointed that she couldn't make it tonight. This is what she would have worn." 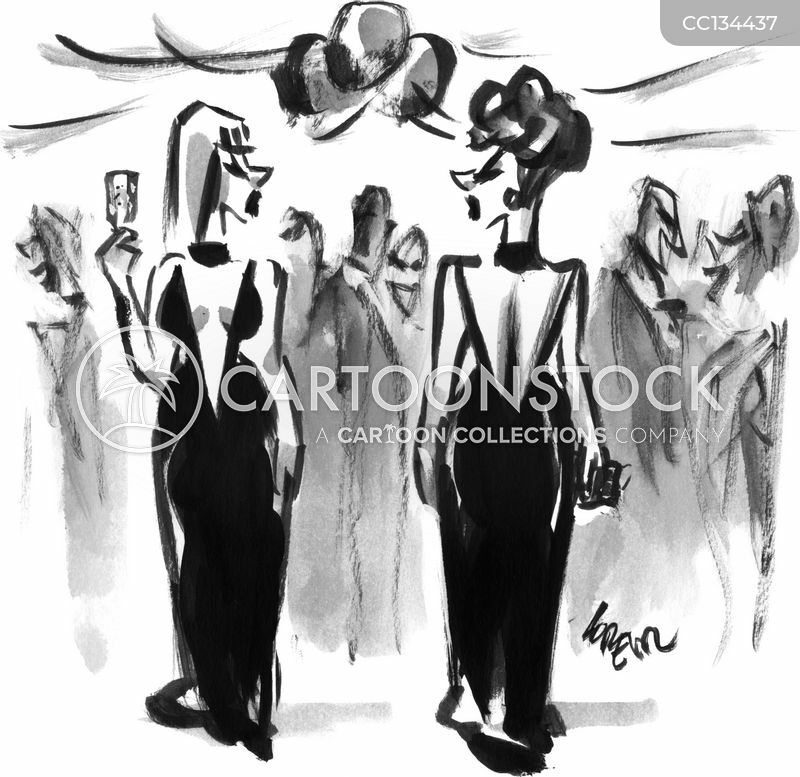 Two women wearing the same dress at a cocktail party pass each other. 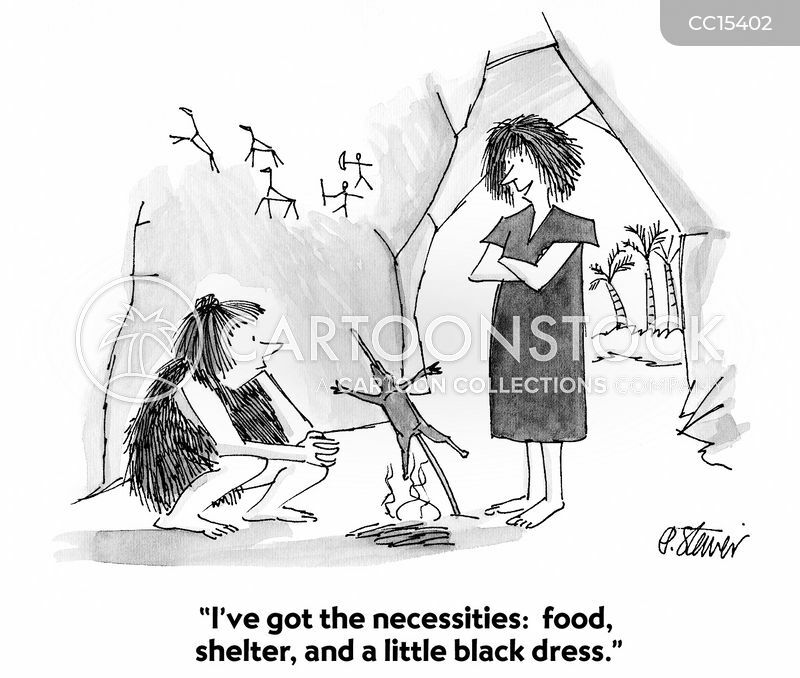 "I've got the necessities: food, shelter, and a little black dress."